Bishop Design as been awarded with the 'Site of the Day' by CSS Design Awards. Founded by Paul Bishop in 2004, Bishop Design LLC has continuously completed interior design projects internationally. 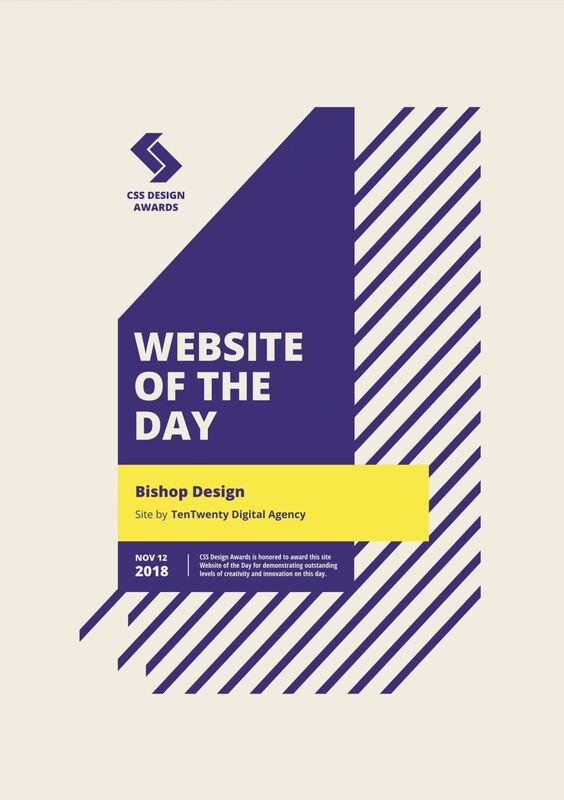 It's great to see the cooperation between the interior design agency 'Bishop Design' and digital agency 'TenTwenty' has lead to the website winning the 'Site of the Day' by CSS Design Awards. We're really proud and it wouldn't have been possible without the amazing team work! "Bishop Design have been working closely with the Tentwenty team for almost a year and we are elated with the incredible website they have designed and created for us. Their professionalism is faultless and they are an absolute pleasure to work with, so much so that we are now working with them again on the creation of a second website. Keep up the good work guys!" Have a look on the website of CSS Design Awards to see more on the award.